Everything at Mouton, from the tending of the vines to the bottling of the wines, is done by the best specialists, from the vinegrower who ploughs, prunes, treats, trims and thins and the vineyard manager who monitors the grapes as they ripen to the cellar-master who oversees the vinification and the technical manager who is responsible for the entire process and decides the blend. 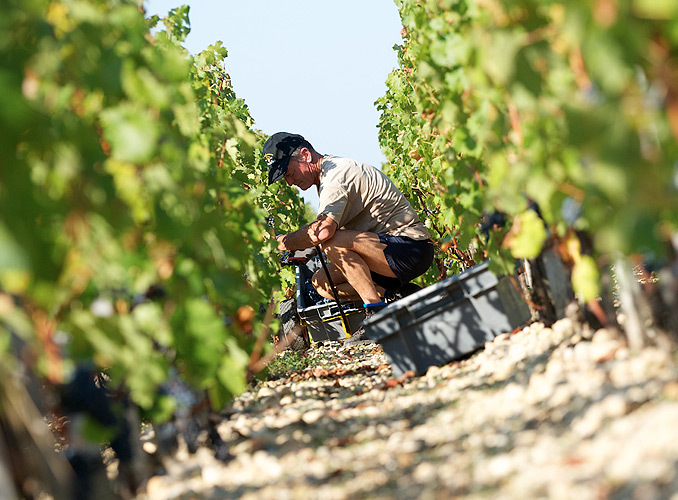 In many cases, the men and women who make Mouton follow each other from generation to generation, passing on ancestral know-how and skills enhanced over the years by the advantages of the most up-to-date technology. 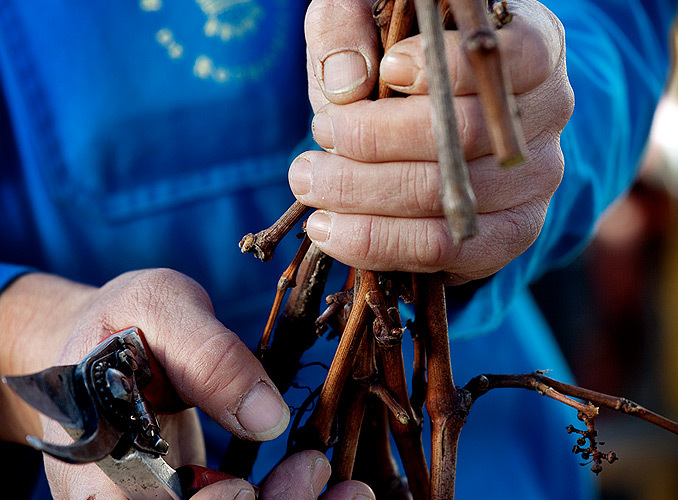 Different from one vintage to another but always the same – witness its legendary blackcurrant flavour – and always at the pinnacle, the Château fully deserves its motto: “I, Mouton, do not change”. Everything at Mouton, from the tending of the vines to the bottling of the wines, is done by the best specialists, from the vinegrower who ploughs, prunes, treats, trims and thins and the vineyard manager who monitors the grapes as they ripen to the cellar-master who oversees the vinification and the technical manager who is responsible for the entire process and decides the blend. 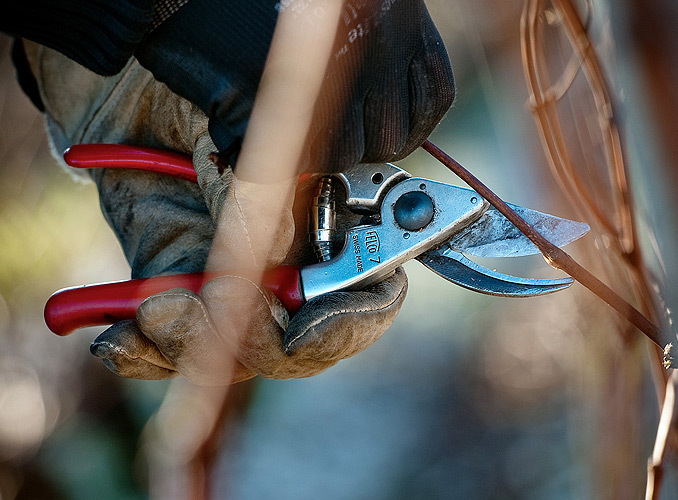 The men and women who make Mouton follow each other from generation to generation, passing on ancestral know-how and skills enhanced over the years by the advantages of the most up-to-date technology. 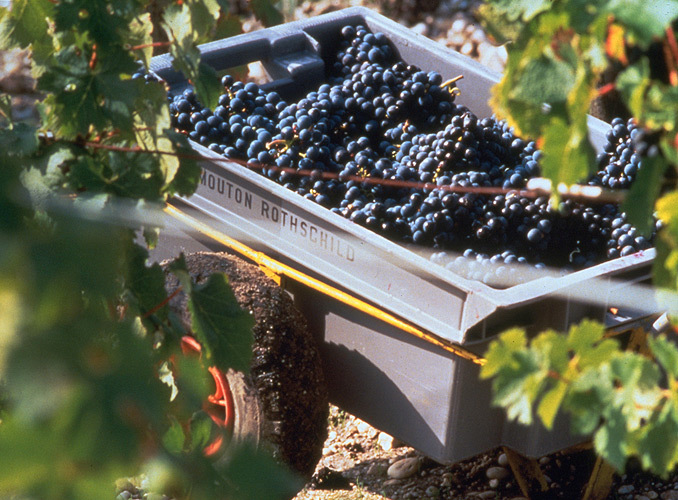 The grapes are hand-picked and placed in open baskets to keep them intact. 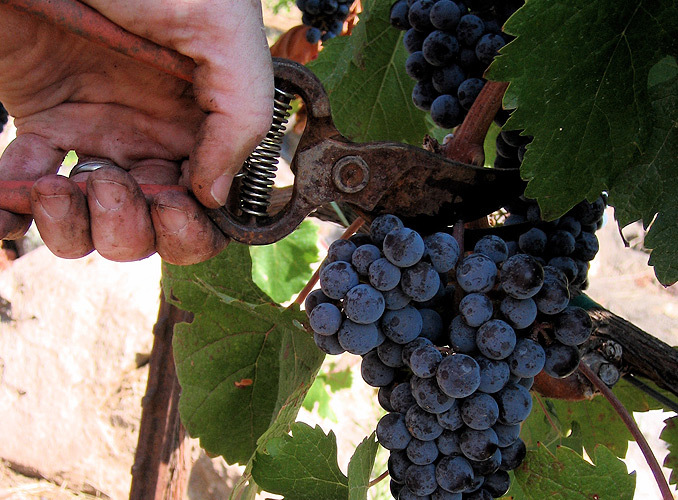 The grapes are hand-picked, in order to select the best of them. The full baskets are to be sent to the vibrating tables. 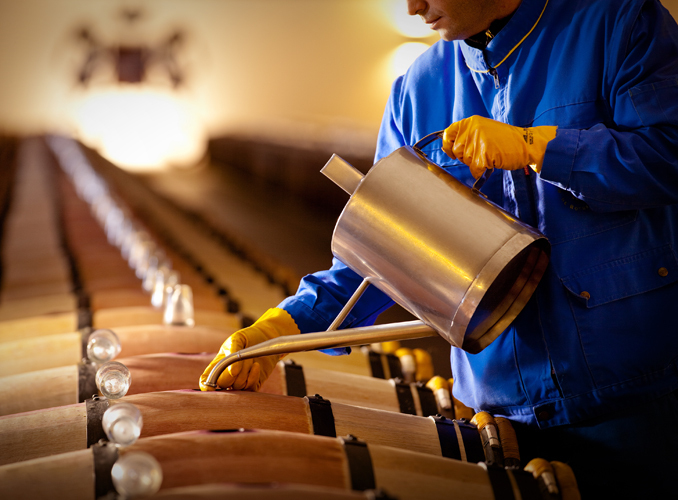 Racking involves transferring the wine from one cask into another in order to separate the liquid from the deposit (the lees). 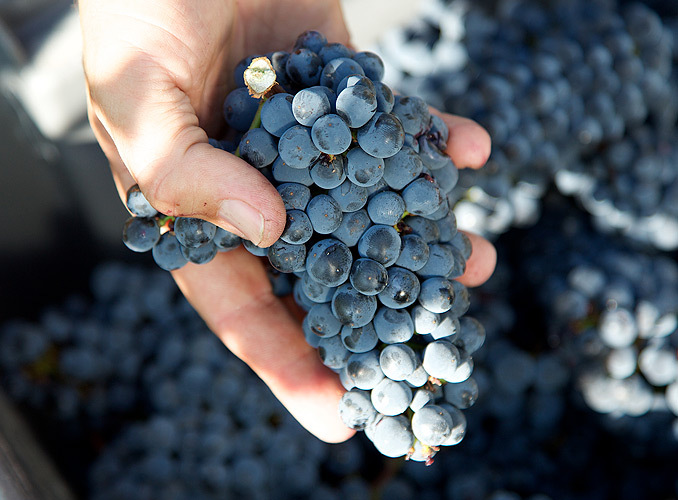 The repeated process gives an increasingly clear and glittering wine. 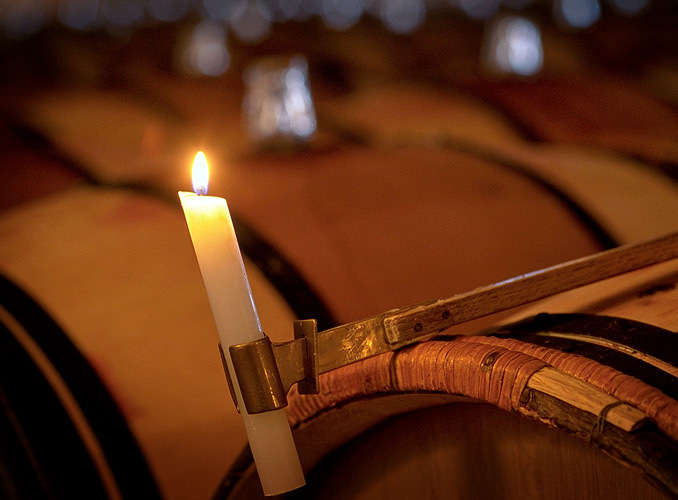 After vinification, the wines are matured in new oak barrels and the various stages in the maturing process are carried out in the traditional Médoc manner, including topping-up, and fining with egg-white to clarify and stabilise the wine by precipitating the particles suspended in it.